Be Cozy and Comfy where ever you go - these great fun throw beds are completely portable and very versatile. 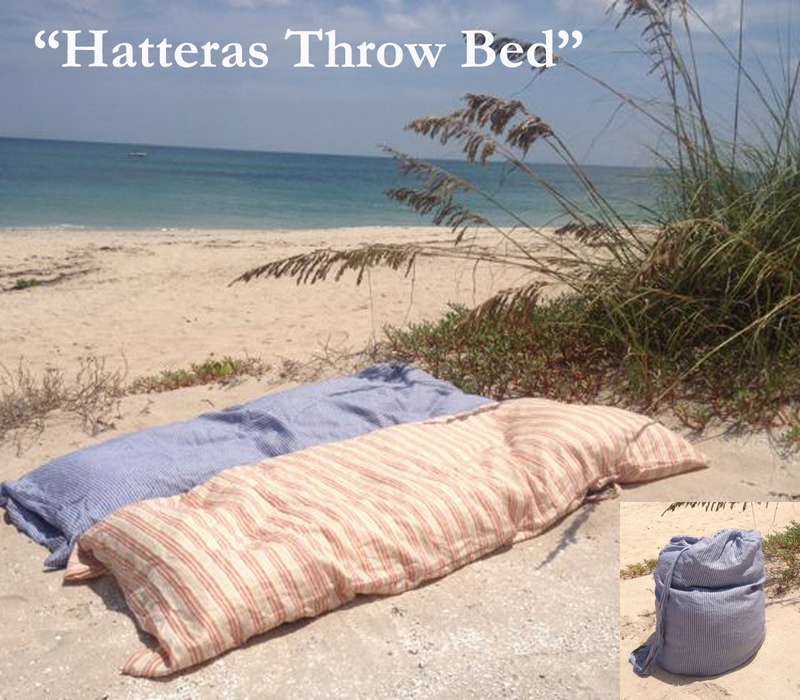 The bed is meant to be used as its name implies to just "throw down" anywhere. Indoor or outdoor, country or urban. You will find a useful place for this chic little bed that is a down and fiber filled cushion that is the same size as a twin bed, 40"x70" yet weighs only 4lbs. 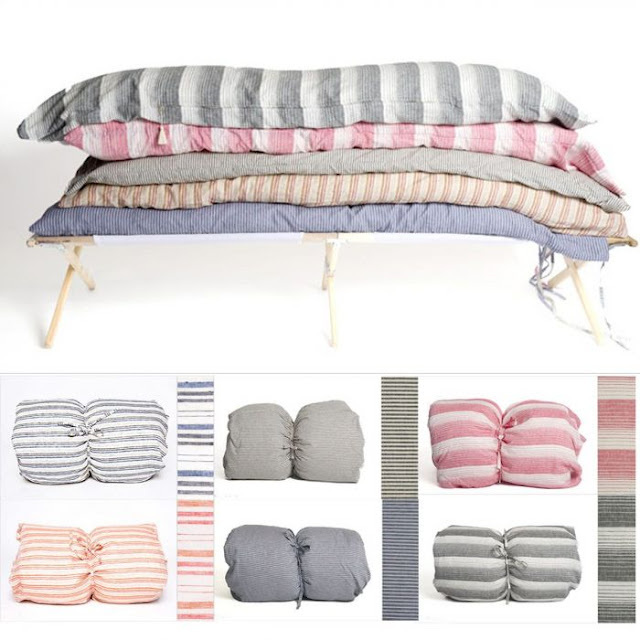 The cushion is covered in a removable and washable linen or cotton covers. It comes in six color options and rolled up in a matching bag with a shoulder strap. Order your "Hatteras Throw Bed" Today!